On view two color trend moods for the Women’s apparel and accessories Spring Summer 2019 season. 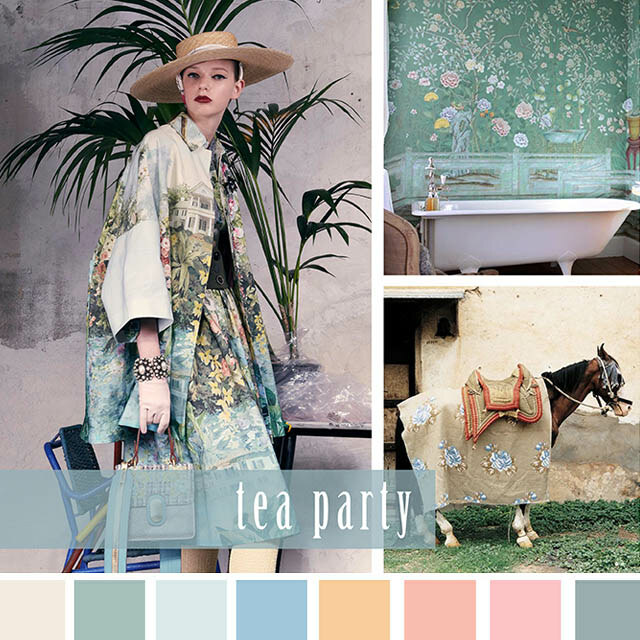 The report features TEA PARTY, a dreamy mid-tone themed palette along with a color-blasted PRIMARY INSTICTS mood. Both feature color boards and inspirational write-up. Thanks to Design Options Inc, the color forecasting firm who is dedicated to bringing Southern California’s unique aesthetic to the world. Remember: pinkies up, ladies! It looks more like a dream from a distance but as you pass through freshly painted white French doors you’ll discover the carefully decorated room of pastel delight. From the tiffany blue napkins, perfectly placed on each glistening plate, to the blush pink macaroons sitting of the side of pearly white cups, every detail is made to be esthetically pleasing. Beautiful peach and gold dresses drape on the side of elegant silvery blue chairs while ladies in the clink the Fine China with pinkies in the air. The hard-wired behaviors of colors. Honest and true cobalt is firm and direct while celeste quickly reacts with reassuring nods. To the left of Celeste sat calm and collected Eggshell whom struggles to contain chatty lime-green. Overwhelmed with emotion, apple red and hot pink flush with excitement. Unable to contain themselves, apricot and tangerine orange burst reveling the surprise of the night. Proving, once again, not matter how hard you try your initial reaction falls close to primary instincts. 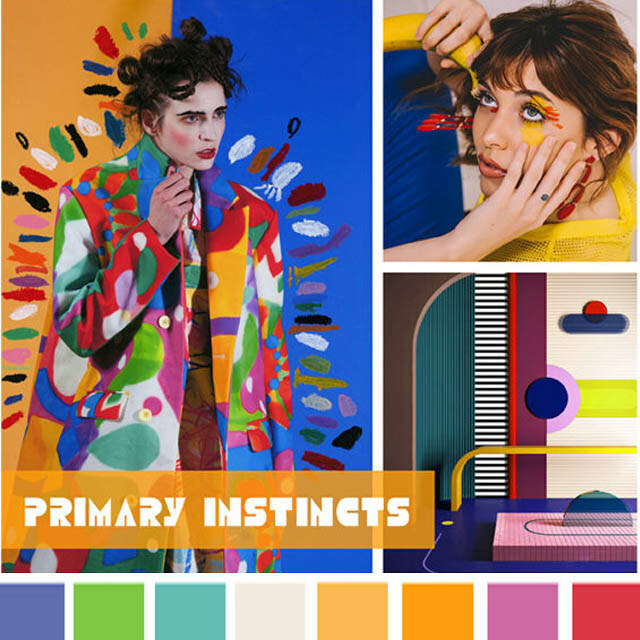 Tea Party and Primary Instincts are two of six Women’s Universal color palettes Design Options offers for the Spring Summer 2019 season. If you are involved in the Women’s apparel and/or accessories market – a brand, retailer, manufacturer, or fabric convertor – I strongly encourage you to consider Design Options S/S 2019 color products. 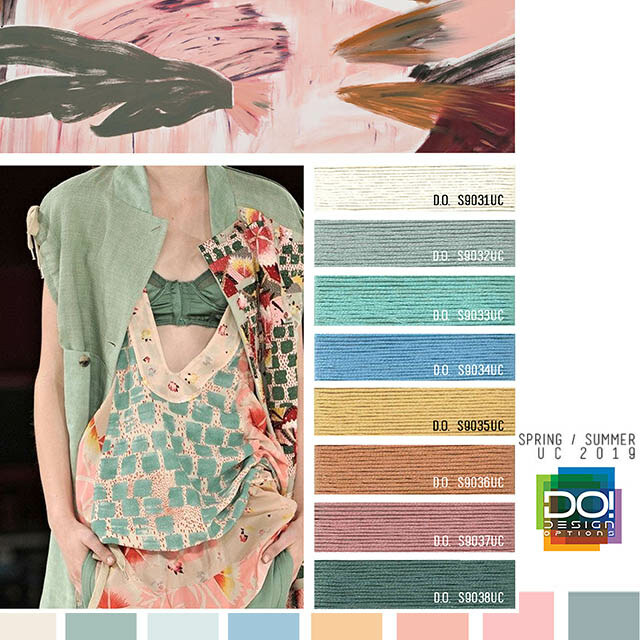 Their color trend service is inspirational and wildly affordable. Design Options, has a global client base, filling the color needs of large retailers to small indie design firms for over 20 years. Design Options Inc is dedicated to bringing Southern California’s unique aesthetic to the world. Its singular, cutting edge perspective, coupled with a comprehensive knowledge of the current marketplace, fuels the company’s imaginative products and high-end consulting services.